B. Tech. is one of the most sought-after professional courses in India. The career prospects after successful completion of engineer course from a reputed B.Tech. college in India are numerous. Whether you get placed in top-notch companies or get an opportunity to serve in government organisations or go for research work, you will be in a win-win situation. As an engineer, you would be constantly changing the world through inventions and solutions that prove to be useful for humankind. There are engineering colleges in every nook and corner of the country. However, you should be aware of the good engineering colleges in India to strengthen the learning base as well as get a good career growth. IITs are the autonomous public institutes created across India since 1961. Currently, there are 23 IITs across India. IITs have an advantage of providing good academics along with a great infrastructure and placements. They are the most coveted B.Tech. colleges in India. Admissions to IITs are conducted through JEE. 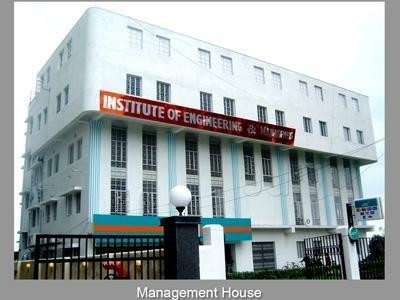 BITS features in the list of eminent engineering colleges in India. The college has a history of more than 50 years, and has been providing range of undergraduate and post graduate courses in engineering, pharmacy and B.Sc., etc. The college is regarded as the 3rd best B. Tech. institute in Kolkata. The college has won various accolades in the near future for providing quality education. It provides graduate and post-graduate level courses and also won the prestigious title of the “Jewel of the East” by Telegraph for the excellent contribution in the field of technical education. It has one of the best placement cells in the nation providing assistance to students in getting the best in-industry jobs and most suitable and deserved salary packages. These are the autonomous public institutes for B.Tech. courses in India. The admission through these is also through the JEE exam. Currently, there are 31 NITs located across India. They provide graduate and post graduate courses in engineering and architecture. VIT is one of the oldest engineering colleges in India and has maintained to be in the list of top engineering colleges owing to the highly structured course curriculum and support from faculty members. The college not only admits Indian students but also has seats for foreign students. It has the one of the best infrastructure which includes mechanical labs, library, computer labs, auditoriums, etc. The institute offers courses for graduates, post-graduates and PhD. The College is the 5th best private B.Tech. college in India. MIT offers latest courses to choose from for engineering. The college has a history of more than 50 years and has earned the status of deemed university. Along with B.Tech., MIT also offers post graduate and research programs. The College has the history of 61 years and is amongst the top 8 universities in India in terms of placements. The institute has a great infrastructure and faculty. The college also has international partnerships which provide a good exposure to students. The College has recently earned huge fame amongst the private B.Tech. colleges in India. It is known for its excellent infrastructure, tie ups with foreign universities and excellent placement record. The college provides range of courses in various disciplines. The college was started in 1983 in Delhi to meet the growing demand of engineering students. Currently, it provides range of B. Tech and M.Tech. courses. The admissions to the college is done through JEE main exam. The College has been given ‘A’ grade status and is amongst the top 150 B.Tech. Colleges in India. It is also ranked 8th amongst the top private engineering colleges in India. The college encourages students for inter-disciplinary activities and develops research aptitude as well as entrepreneurial skills in them.